The Ibanez BB9 is a booster that provides a fat bottom end and a powerful sound. 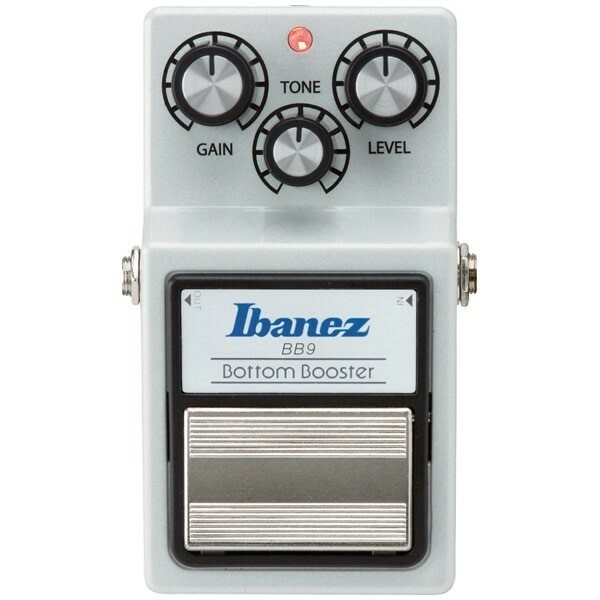 This pedal is designed to help clean tones reverberate even more and bring more intensity to a players sound. Combination with a distortion pedal allows for creation of a wide variety of tone colors, and the pedal is also equipped with True Bypass.